Modern sport deals with so many different areas and components to find the edge when it becomes time to perform at your best … and more often than not it is the little things that you do, that individually may mean nothing, but add them up and all of a sudden performance jumps – all through something called 1 %’s. 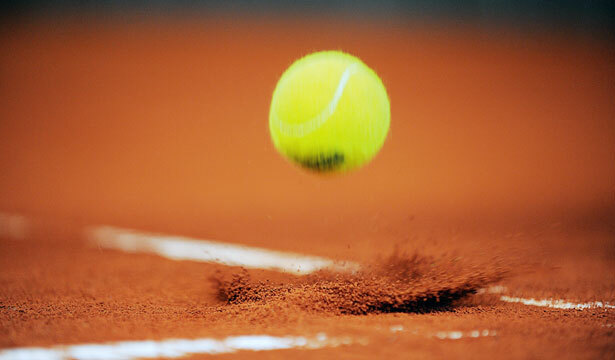 Here is a few for our tennis players:- make the last 5 minutes at training (on or off court) the best/hardest of the session | get it right before you leave the lesson/session | read your diary from the last performance the night before your next match | set regular targets on your components | ask yourself the question “why is this match important” | stick to your game style/play plan | count to 2 between 1st and 2nd serves | accept the conditions of play – it is what it is | chase one more ball | be ready to play one more shot to win the point. Ten little things that has just added 10% to your performance eg 13% to your ground shot speed; 19% more on your serve; 10% less unforced errors thus 10% to your winners or forced plays; 10% more opportunities to go offence and 10% more asking your opponent to work harder. Little things that are always added as you develop and enhance your Technical – Tactical – Physiological – Psychological and Sports Science components. How many more can you add to your performance ! Vintage Tennis – Sports thoughts ! Welcome to a new year of ‘sports thoughts’ – during our get-togethers we will cover a number of topics with a view to honing our game and endeavours to the maximum of our skills and thus the levels we wish to attain. preparation to perform … the ability to execute with diligence the holistic nature of our day to day training, the influences that we make to producing our best effort and where it comes from, to allow our instincts through hard work and talent, to come out on the tournament stage. Following on – ‘linking’ topic – goal setting – advancing development the necessary steps to attaining our objective, of being the best we can be as quickly as possible, with a direct path without distractions and hiccups along the way to success, understanding short , long and immediate goals and what they are. talk the talk – the identification of what is said to ourselves, how it is interpreted and is it positive or negative, the ability to change it and keep us on our path to high performance and success. Confidence – where is it? … what it isn’t is a magic pill or an element, it is actually undefined, so where is it – it is all that we are and is all around us, the influences of what we respect and what we do to achieve our goals and objectives. We can believe in ourselves, but the overriding factor is trust, in – ability, advice, coaching, method, support, our training incl. diet, body, role models, stories, dreams, all of the above topics. Do a list of every ‘c’ word you can think of and record it and you will discover where is it!A few examples – courage, create, challenge …….. Looking forward to continuing the journey to achieving what we want and how we want to be better in life. As the euphoria of the Australian Open and it’s vintage climax fades and Melbourne comes alive with AFL and the upcoming Grand Prix, aspiring Aussie tennis professionals (18 – 22 years) consider their pathway and plans to achieving a pro tour destination and career. So much to learn, as the transition to ‘open’ tennis is a big leap. A select few will receive support and varying resources from Tennis Australia and the opportunities to develop their game through training and overseas travel to ITF futures and challenger events – exposing them to the global environment of professional tennis with some guidance. However resources are limited and players must take responsibility and produce quickly or support is removed … and then another path must be found – history shows that this occurrence is very common. For those on a second tier they are encouraged to seek scholarships with a USA College, a path that combines tennis with an education, daily training and inter-collegiate matches through the NCAA system against similar standard players. A wonderful experience, however first hand experience over a few decades has me challenging this road to the pro tour, as it is actually an education scholarship that the tennis allows a player to get a degree for less cost than our Australian Institutes, resulting in a stagnation of required focus and development. Like any other professional sport, the next step is a huge one for these post juniors and a certain safety net needs to be in place, together with the hard work and knowledge to go to the next levels – ITF | Challenger | WTA | ATP | Grand Slams. Thus, the ‘home’ alternative pathway – comfort, care, growth, support, influence, on-line education, mentoring, coaching, training, tournament guidance – multiple benefits, that also involves these young aspirants with international opponents and a strong level of tournament competition including the opportunity to gain experience and vital ‘world’ points ready to take on the globe. The Australian Pro Tour series delivers 17 x futures ($25k each) and 4-6 challengers ($50-$60k each) events per year for men and women. Additionally Tennis Australia sanction 26 x AMT Platinum tournaments ($10-$15k) per year for extra high level play (former pro’s and advanced club players participate), furthering the opportunity to play the required matches (60 to 70 a year) to build ‘tournament intelligence’. The recent women’s Perth International (ITF) main draw of 32 – contained players from 17 different nations, this week a hardcourt event, with a grass one and two clay futures in Victoria to complete this series evidencing the required diversity of opponents and surfaces. Vintage Tennis wishes our and all aspirants great success on this journey of their lifetime, whatever path is chosen – keep the passion, keep the love and work smart. Right time | right decision | right changes | right returns … tennis in Australia has the capacity to add a few r’s to their overall development in light of it’s non – representation in any of the ‘world junior teams’ events this year. Surely with our history, culture, climate and resources this can be addressed for furthering the aspiring players dreams. Reviews, in all sports are being conducted nation wide as the Olympic year comes to an end, trade and negotiations commence as AFL clubs relook and rebuild and then all will review the reviews. So too is the national coaching in tennis having some movement (it’s called accountability) and discussion with player (women) focus groups to identify where the pathway stutters and fades. The movement of coaches and new directions and changes to personnel plus the action taken from tennis feedback hopefully will set up strategies and clear bold initiatives to get that boost and belief so evident in the recent major footy codes grand final results. Resource distribution towards second tier player assistance and training may well be the answer to our development (spread the finance, spread the knowledge, spread the hope) and it is an old saying but ever so true … the bigger the base, the higher the pyramid. Tennis is gearing itself for another brilliant summer and hopefully we will hear the right plans to return us to our rightful place in world tennis! India’s rising profile is evidenced lately by the achievement, for the first time, of representation in the finals of the Junior Davis Cup (16 nations) and Junior Fed Cup (16 nations) in Hungary in a few weeks, for the 2016 titles. In a country dominated by cricket, this other ‘bat’ and ball sport (tennis) is seeking the edge to keep this momentum and attention continuing with recent visits to Melbourne, Australia by New Delhi’s Masters Tennis Academy player Nishant Dabas, ranked #6 in 14 years nationally and not turned 13 years as yet, additionally another player from New Delhi, 17 year old Shanu Agarwal, has commenced a four week period in Melbourne to enhance her game and entry into the world of professional tennis. Vintage Tennis innovative and holistic Tournament Performance Program is the reason for Nishant’s second trip down under (his first in 2015) and Shanu’s first, with plans underway for more training / mentoring in 2017 … maintaining that edge to success. Director Doug Hill has been delighted by the single focus of these fine young people and impressed by the commitment to what the program can give them and what they can give to their tennis back home.